A Halloween Scare in Canada by Eric James - Frugal Mom Eh! 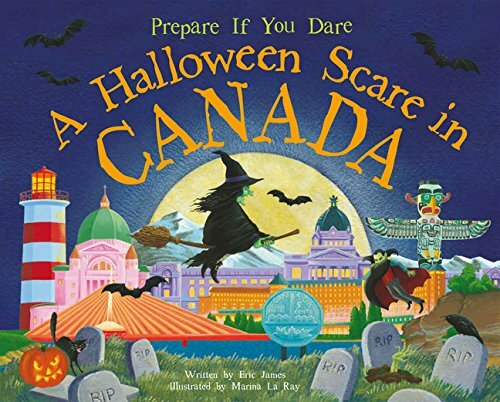 A Halloween Scare in Canada is a story told by a boy about his Halloween adventures in a rhyming scheme. The text works in various cities across Canada and introduces younger children to all the Halloween monsters they might encounter from werewolves to Frankenstein and everything in between. The text is rhyming and conveys the message that Halloween monsters need not be scary. My kids really enjoyed the illustrations and pointing out which monsters were which. Over all it is a nice book but not particularly thrilling. Thanks for the review this sounds like a nice book !